I needed gas for the cart, so I went for a 5 mile drive to fill-up and test out the new carb. The Keihin generator carb was a big improvement over the clone generator carb. And this slide PZ30 carb is a nice improvement over the Keihin. Idle and mid-range throttle response is better than with the Keihin. No surprise there since the generator carbs weren’t designed to operate over a wide range of throttle openings. At 20 mph (speed limit on the paths) the engine is operating at 2900 RPM’s. I will do a MPG check once I get everything finalized with the new carb. In town, the two biggest complaints of the gas golf carts are noise and smell. I’ve done some scientific smell testing at different times by driving back and forth through some of the tunnels here. With this new carb, I think there is a big improvement in part-throttle jetting. I had to go through the same tunnel 3 times before I could really smell any of the exhaust. And even then it was pretty subtle. 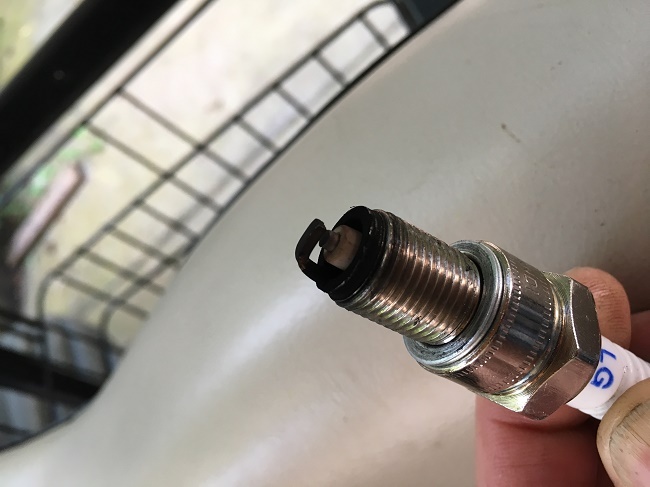 The spark plug confirms that the engine is running well at part throttle openings. The picture shows the porcelain a little darker than what it really is. Most of the time on this plug was between idle and 3,000 RPM. Full throttle is another story. I am going to pull the carb and go up one size on the main jet. My 0-30 time wasn’t bad today. It was a couple of seconds off from my best time with the Keihin carb, but there are two factors that are different. My best time was done back in November when it was cooler (it was near 90 degrees when I did today’s run) and I was using a different belt that was wider back then. That wider belt sat higher out of the driven clutch giving me better off the line performance. 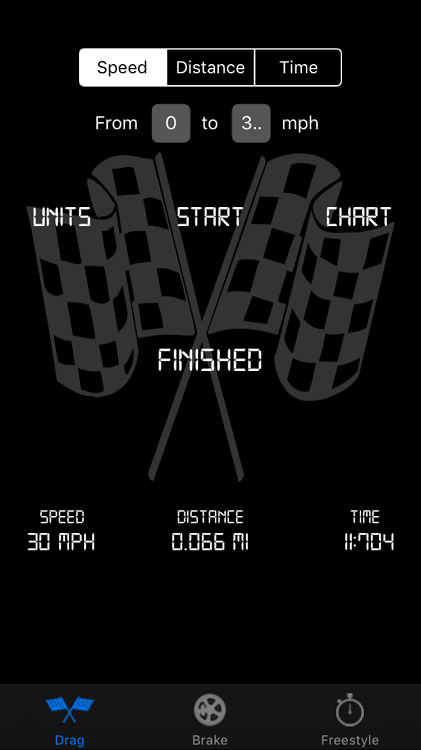 Back in November I dropped seconds off my 0-30 times by adjusting the main jet richer and richer each run. By the time I was at my best times, I was definitely running an overly rich jetting. I will go up one size on the main and see what happens. This entry was posted on July 12, 2018 by Harold Bawlzangya Racing. It was filed under golf cart .